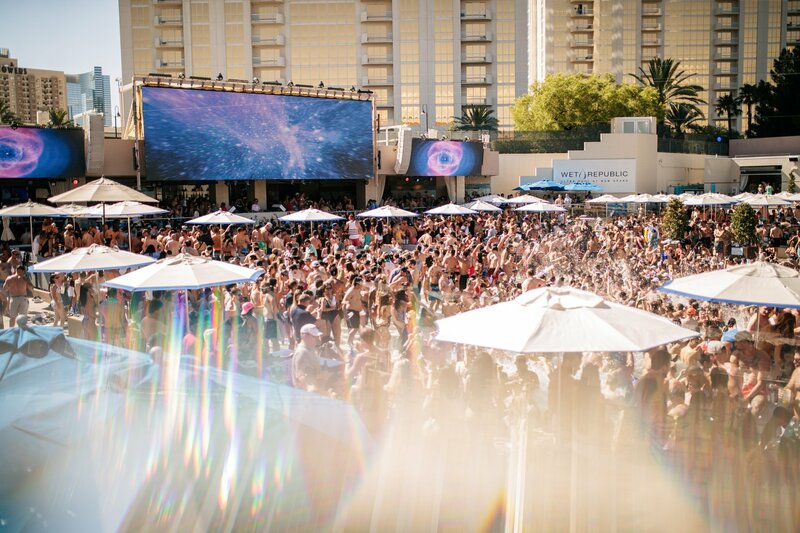 Another pool season is upon us — so that means WET REPUBLIC has you covered (or uncovered)! Break out the bathing suits and swimwear as Hakkasan Group has announced the first acts set to dominate the WET REPUBLIC Ultra Pool in the 2019 season — and to no surprise, they’re really making a splash. Already making waves in 2019, the world-renowned hospitality company, Hakkasan Group, has announced the top-tier and newfound DJ talent to grace the booth at WET REPUBLIC this season. Additional artists and dates will be released as the season progresses. Leading the pack this year amid Hakkasan’s WET REPUBLIC pool season announcements are award-winning and A-list DJ talent, including Calvin Harris, Tiësto, Zedd, Martin Garrix, Steve Aoki, Loud Luxury, Cash Cash, Fergie DJ, Mark Eteson, DJ Shift, and more. The opening weekend schedule for WET REPUBLIC at MGM Grand Hotel & Casino includes DJ Shift (3/8), Fergie DJ (3/9), and Mark Eteson (3/10). In addition to WET REPUBLIC, Hakkasan Group’s LIQUID Ultra Pool at ARIA Resort & Casino also boasts an opening weekend lineup with DJ Buza (3/8), Cutswell (3/9), and DJ Paradice (3/10). View the full upcoming calendar and purchase tickets for this year’s Vegas pool season, HERE.